WE waited and waited for its release. But, the wait was well worth it. 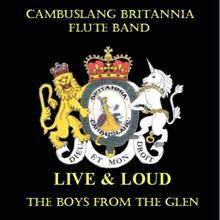 The second release from the Cambuslang Britannia Flute Band hit the shelves just before Christmas. The CD features the fabulous The Boys from the Glen, whom I had the privilege of seeing twice in one day. A mixture of traditional Orange ballads and Laments, there is something on this CD for everyone. Live and Loud is the second live CD to appear on the market in as many months. The first being Proud Heritage by the Young Calvary Volunteers Flute Band, Glasgow. The Brits kick off this appreciation of Loyalist music with a trio of great Loyalist tunes. Boyne Water, The Sash and Derry Walls are all played, like all tunes on this CD, in the style and manner that we have to come to appreciate from ‘The Brits’. No second chances on a live recording and The Brits showed they didn’t need one. What made for it me was hearing the crowd singing along with the band. As a live recording we have a mixture of music along with vocals. Track two is the superb ballad Billy McFadzean. This is a ballad about Private William McFadzean, who so bravely defended the country that he, like many more, loved. Private William McFadzean received the Victoria Cross for Gallantry and Valour for his actions at the Battle of the Somme while serving under the banner of the Ulster Volunteer Force. Track three is Apprentice Boys. It’s a tune about the Brave 13 who closed the gates of Derry in the faces of the rebel forces of King James II. You could just picture Governor Walker standing in Heaven pointing, saying, “There they are boys, ‘The Brits’”. Track four, everyone’s favourite Loyalist tune. A tune that we all want played at our funerals. Build my Gallows, and build them high. Altogether now, “so build my gallows build them high, that I may see before I die the Antrim Glens the hills of County Down, and see again the lights of home”. The Boys from the Glen certainly sing this song with passion and pride. Once again, “so build my gallows build them high, that I may see before I die the Antrim Glens the hills of County Down, and see again the lights of home”. Track five, the good old Rangers tribute. With Follow Follow, There’s not a Team and Billy Boys the band, with the help of the audience, certainly show what colours they wear.  Track six, “so I swore like the rest to the badge on my breast with gun in my hand I will fight for my land, with my hand raised high I took the vow as I joined Number One Platoon”. A tale of a young lad joining the Ulster Volunteer Force along with his friends. The Boys from the Glen sing Number One Platoon in an impeccable manner which, is complimented with the accompaniment of a fife. Superb! Track seven, a tribute from the band to a dear friend of theirs, Desmond Gorman. Desmond died while visiting Scotland for the Boyne celebrations in 2003. Each year the band travels over to the Ballyhackmore area of Belfast to accompany the Lodge that Desmond was a member of. A fitting musical remembrance by the band in memory of a friend. A Tribute to Dessie Gorman-Hands Across the Water. Sleeping where no shadows fall. Track eight, after the Tribute to Desmond Gorman, The Boys from the Glen sing the superb ballad, The Greens fields of France. A tribute to another great Ulster warrior, Willie MacBride. A soldier who died defending his country at the young age of nineteen. Like so many that gave their lives in defence of this country of ours. This country that day by day tries to erode the memory of the likes of Willie MacBride and William McFadzean all in the name of appeasement to terrorists. Track nine, Crossmaglen and UDR Four. Two superb tunes that shows The Brits are at home not only on the stage but also on parade. The band play these tunes how they should be played, loud and proud. The Hack Drum summing the audience to silence as The Brits, yet again, play in their own individual distinctive style. Tempo right, style right, percussion’s right, flutes pitched right, superb! Number ten, that great Loyalist tune Fathers Advice. A Father telling his son that the time is right that, like him, he should take his gun and join the Ulster Volunteers. Telling his tale of, as a young lad he joined the Young Citizen Volunteers, with his Fathers blessing. Track eleven of twenty-one. Here the band treat us to Spirit and Billy McFadzean. All I can say is see track two. One point, a lot of bands, I feel, destroy this tune with over doing it on the bass drum. Thankfully The Brits, as you will hear when the tune finishes, played this tune spot on. A big pat on the back to the bass drummer, whom in my opinion should be bought a drink by the lead tip for his standard of playing on this track. Track twelve hears The Boys from the Glen treating us to a superb rendition of the YCV Brigade. A tribute to the youngsters of the Ulster Volunteer Force. Youngsters who were prepared to, and in some cases did, die for their country. Track thirteen, Red Hand Soldier. This is the tune that you close your eyes to and picture The Brits walking into Bridgeton Cross on the night of the Glasgow ‘Big Walk’. I had the pleasure, no honour, of witnessing the band doing this in 2003. A memory that will be forever in my mind. Track fourteen and we have The Boys from the Glen, or is that girls, singing the superb UVF Hero. A superb rendition that is up there with the tune Ulster Girl. A superbly sung rendition at that. Track fifteen, a tune that should have everyone upstanding in remembrance of the Volunteers of Ulster. One day the band will play this at the Cenotaph at Whitehall. One day, that is. Track sixteen, and five to go. “The U is stands for Ulster and the V for Volunteer and the F stands for the Force that fights and never fears”. Yes, that superb Ulster ballad called Daddies Uniform. My mind still wanders back to the first time I saw The Boys from the Glen, I think then they went under the name of This Way Up, and I am happy to say that they have only improved with age. Track seventeen, the year the lead tip last bought a round, 1817 that is. Sands of the Shore, Bonnie Lass O’Fyvie and The Battle O’er are the tunes and The Brits play them in true Highland fashion. A true Scottish band taking a journey back to their Scottish roots. Track eighteen The Fields of Ulster. I feel that this song needs no reviewing at all. The Boys from the Glen justify why they are one of the hottest Loyalist groups doing the circuit today. Track nineteen. Oh how I have waited. Highland Cathedral - one and one band only can play this tune in the style and manner it should be played in. That band is the Cambuslang Britannia Flute Band. Did I hear parts being played? Yes, I did. Superb, superb indeed. I first saw the band playing this at their ‘Sash Bash’ about three years ago and was blown away. If the opportunity arises to see this tune performed by the band please take that opportunity. You will not be disappointed I guarantee that. Track twenty and The Boys from the Glen gives us Here Lies a Soldier. A superb foot stomping rendition to a tune that will be in everyone’s top ten of all time Loyalist ballads. And, sadly, we reach twenty-one. The final track to what has got to be one of the finest Loyalists releases of 2003. Rule Britannia is the song, out of key are the singers, joke. Yep, The Brits treat us to a vocal version of Rule Britannia and so ends our musical trip courtesy of the Cambuslang Britannia Flute Band and The Boys from the Glen. A journey that I can see myself, like many others, embarking on over and over again. One final point, do you think this version of Rule Britannia might appear on an album in the future? Loyalist bands sing for you. The play list could also contain Daisy Daisy by the Sons of Ulster FB, Newtownards and Glory Glory by the Imperial Blues FB, Paisley. Just a suggestion! !